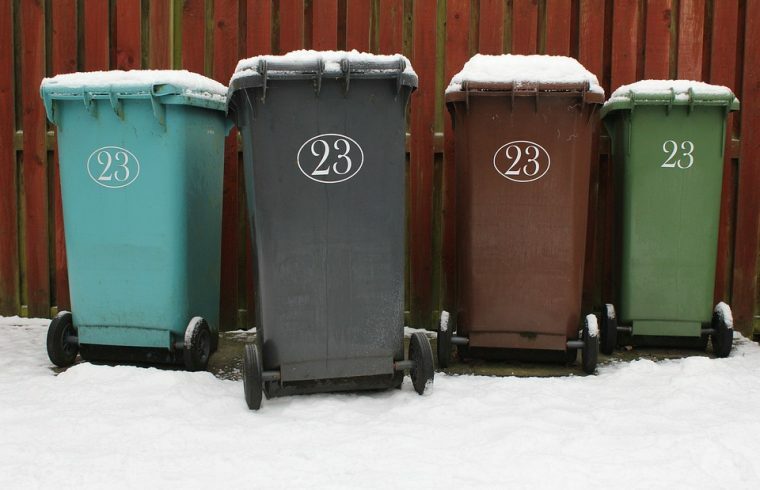 Businesses in the UK must understand the importance of having a waste management plan in place. Sometimes, it is something that eager entrepreneurs don’t consider when they’re setting up their own businesses. We look to find out what businesses in different industries do to get rid of their waste and how much it is costing them as a whole in the UK. One main aim for businesses is to reduce any external costs. One way to reduce unnecessary costs is to have your waste effectively managed. This means working with a waste management company that can draw up a profile of your business and calculate the amount of waste your company generates — and creates a more reliable and bespoke collection routine that better meets your business needs. In the UK during 2014, the commercial and industrial sector generated 30 million tonnes of waste. 19.8 million tonnes from this was from England alone with 11.1 million tonnes coming from the commercial sector and 8.7 million tonnes from the industrial. When looking to the UK entirely, we can see that the commercial sector produced 15.1 million tonnes and the industrial produced 12.6 million tonnes. A 10.6% increase on 2013, 2014 saw the construction and demolition sector produce 120.4 million tonnes. This sector generated over 60% of the UK’s total waste. According to Wrap, 400 million tonnes of material is used across construction projects annually, leading to 100 million tonnes of waste being produced — accounting for more than one-third of the UK’s entire wastage total. Looking at landfills across Britain, we found that only 25 million tonnes worth of waste is sent there. In 2014, those working in mining and agriculture had shown a 9% increase. In 2012, we saw 24.7 million tonnes of waste and then in 2016, 26.9 million tonnes. More waste was produced in 2014 than previous years, with a 4.6% increase on 2012 — generating more than 202.8 million tonnes. Studies conducted by Wrap suggest that food waste in total costs Britain £682 million annually, which calculates to £3,500 per tonne. In relation to restaurants in the UK, we can see that 51% of waste is recycled, 65% of it being packaging. 915,400 tonnes of waste is produced by restaurants in Britain — only 199,100 of this is from food waste. However, from a total of 873,000 tonnes generated by pubs — 199,100 of this is from food waste. We found out that 63% of this waste is recycled. The average pub can see a cost of £8,000 per year to get rid of food waste from its premises. Hotels around Britain spend an astonishing £318 million on food waste, calculating to around £4,000 per tonne. This sector produces around 289,700 tonnes of waste each year, 79,000 of which is food waste. You would expect healthcare providers to recycle a lot, to ensure a more sustainable living environment — however, only 7% of overall waste coming out of healthcare establishments is recycled. Food waste costs the healthcare sector £230 million each year — £1,900 per tonne. 170,300 tonnes of waste is produced by the healthcare industry on a yearly basis — with 121,000 coming from food waste. To gain a greater insight regarding how much food waste you produce, follow some of our simple steps. Begin with separating your food waste so that you can later weigh the amounts to see how much of what you are using. Use three different bins to collect this data, waste for food preparation, spoilage and then the leftovers from your customers’ plates. Use the data you have collected and multiply this figure by the amount it costs per tonne and this will tell you how much it is costing your business each year. Where does the majority of our food waste come from? There are a few steps businesses can take to help reduce the amount of food waste that they produce: One problem that restaurants and cafes often shy away from addressing is the size of their menus; the bigger the menu, the more ingredients you buy — and the more that can be wasted. Take a step in the right direction by looking at your customer patterns — what are they ordering? From this, you will be able to remove the dishes that do not add value to your menu. However, unthinkable to many businesses, a lot of waste could be down to the portion sizes. Reducing the size of your meals even slightly is a simple step to take that could help reduce costs for your business. One rule that business owners must follow to help their food waste problem is to buy what they need — no more, no less. Don’t get sucked in by your supplier’s special offers — it’s only a good deal if you’ll actually use the produce. If not, it will end up going in the bin — costing your business more money in the long run. Buy long-lasting ingredients that are vital in your kitchen such as spices, and buy fresh food only as you need. Remember that edible food can be donated — and will allow you to help the community with items you would normally throw away. You could even donate leftovers to a local farm to feed its animals if appropriate. Both of these could be beneficial to you as a business as you will be reducing waste whilst helping the environment. Britain wants to become a zero-waste economy and wants to encourage people to use what they have to its full potential. This means we will have to be harder on how much we reduce, reuse and recycle, and only ever throw things away as a last resort. Businesses across Britain have a responsibility to reduce the amount of waste they produce to ensure changes throughout the entire nation. This includes keeping waste to a minimum. They are also obliged to sort their waste out in the appropriate way and then store it correctly for when it leaves the building. When this happens, you must complete a waste transfer note for each load of waste that is removed from your location. Make sure that your chosen waste carrier is registered to dispose waste and if they are not, first and foremost, you shouldn’t use them. You then have a duty to report the waste carrier to Crimestoppers, as it will be disposing of your waste illegally and this can be damaging to the environment. By following the above advice, the UK can make a step in the right direction to achieve the goal it has to become a zero-waste economy.